BIM The agency had sought an aquaculture licence to construct a farm off the coast of Inis Oirr in 2012. It planned to run a 15,000 tonne operation there. 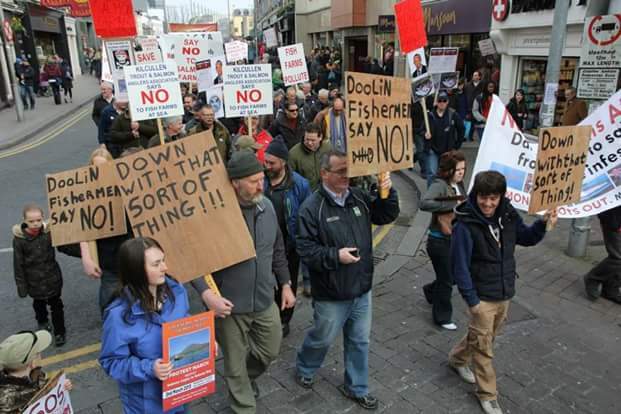 The proposal met with widespread opposition among sections of the local fishing community. In a statement this afternoon BIM said it was withdrawing the licence application in light of a new Sustainable Aquaculture Development strategy. This sets limits regarding the scale of offshore salmon farms and was contrary to the size of the proposed development in Galway Bay. The decision has been welcomed by groups who had opposed the BIM plan. Enda O'Conghaile, chairman of the Inis Óirr co-operative, said islanders had raised concerns about the proposal on a number of fronts. Residents said the location for the development had not been properly analysed, they questioned BIM data regarding the impact and danger from sea lice and said the staffing levels on the farm were "way in excess" of industry norms. Islanders are particularly pleased because they say the integrity of Galway Bay as a spawning ground for wild fish and its importance for shell fish has been safeguarded by Bord Iascaigh Mhara's decision. A spokesperson for BIM said it would review its options in the next 12 months. The agency estimates in the region of €500,000 has been spent on the plan to date. Brian Curran, Spokesperson Galway Bay Against Salmon Cages, welcomed today's decision by BIM and believes it was influenced, in part, by the campaign against the fish farm. Speaking on RTÉ's Drivetime he said he hopes the application has now been totally withdrawn. Mr Curran said fish farms cause devastation to salmon wild stock and there are no controls and very little regulations. He said millions of euro and a lot of jobs have been lost in the Connemara area because of the salmon farming industry. A leading environmental group has accused the Government of withholding a report into a salmon farm accident which resulted in one of the largest-ever losses of fish in Ireland. Almost 230,000 fish were lost when storms battered a salmon farm in Gerahies, Bantry Bay, Co Cork, in February 2014. Friends of the Irish Environment (FIE) have sought the departmental report into the incident, so as to clarify the regulatory regime governing such salmon farms. However, the Department of Agriculture, Food, and Fisheries has informed the group that the report will not be completed until December 31. FIE successfully appealed the department's refusal to release preliminary reports and correspondence. The department had claimed that the release of any parts of the deliberative process of advising the minister what action to take would be "premature". It also argued that the public interest would not be served by the release of material in this manner. However the Information Commission ruled against the department on both grounds. In his ruling last July, the Information Commissioner ordered the State to release a detailed report into the accident. Peter Tyndall said that the department's arguments for refusing to release the information were not justified. He insisted there was a strong public interest in maximising "openness and accountability" in relation to how the Department of Marine and the Marine Institute carries out their functions. He said it was difficult to follow the logic of the department's claims that the release of the information could be potentially harmful to the regulatory process. 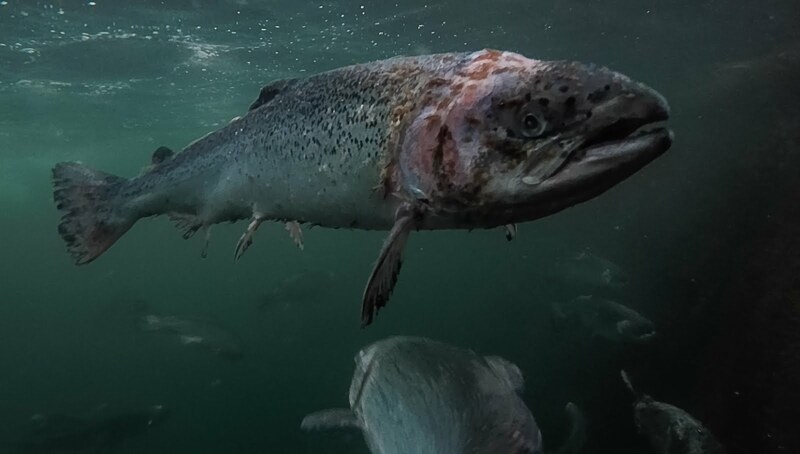 The Food Standards Agency has urged people to keep eating Scottish farmed salmon after a scientific report claimed it is so full of pollutant chemicals it should only be eaten a maximum of three times a year. Levels of 14 toxins were significantly higher in both European and North American farm-raised salmon than in fish caught in the wild. The pollutants, which come under the banner of organochlorines, included chemicals which persist in the environment and are potential cancer triggers. Four of the most hazardous - PCBs, dioxins, dieldrin and toxaphene - were used to calculate consumption safety guidelines. The researchers recommended that only a half to one meal - defined as eight ounces of uncooked meat - of farmed salmon bought from supermarkets in London and Edinburgh should be eaten per month. This was the maximum amount that could be consumed before boosting the risk of cancer by at least one case in 100,000. The same guidance applied to salmon bought from Frankfurt, Paris, Oslo, Boston, San Francisco and Toronto. The most contaminated fish came from farms in Scotland and the Faroe Islands, Denmark. For these, the monthly limit was a mere quarter of a serving, equating to three servings per year. Wild salmon, on the other hand, could be consumed at levels as high as eight meals per month. But the Food Standards Agency pointed out that the dioxins and PCBs found in the study were within safety levels set by the World Health Organisation and European Commission. FSA chairman Sir John Krebs said: "This study shows that the levels of dioxins and PCBs in salmon are within internationally recognised safety limits and confirms previous studies by the FSA. Our advice is that people should consume at least two portions of fish a week - one of which should be oily like salmon. There is good evidence that eating oily fish reduces the risk of death from recurrent heart attacks and that there is a similar effect in relation to first heart attacks."